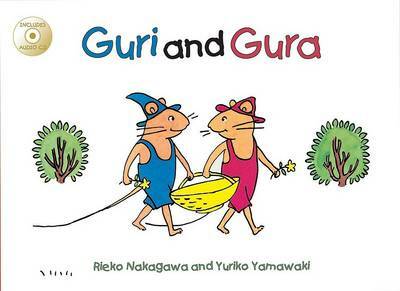 Guri and Gura CD Edition is the first in a series of eight animal story books about two adorable field mice and their adventures. In this story, the friends find a giant egg on their walk in the forest, which they use to bake a giant sponge cake. Smelling the cake, the animals gather around to share the freshly baked, fluffy treat. A story of resourcefulness, friendship, and sharing this fully illustrated CD edition of a favorite classic is sure to capture the imagination of young children.